Moxibustion, or moxa, is an East Asian therapy that involves burning specific herbs to facilitate healing responses at various energetic levels. It may be used with or without acupuncture needles. Moxa is commonly used to strength the immune system, alleviate pain, decrease inflammation and accelerate healing of injuries. Different forms of moxa create different sensations and responses within the body. Kyutoshin, or warming needle, creates a pleasantly warm sensation on the surface. It also stimulates healing at a deep energetic level. The moxa that is applied to the needle is made from the leaves of the mugwort plant. It binds as it burns leaving a ball of ash that can be easily and safely removed. Even the worst bruises disappear quickly when moxa is applied. 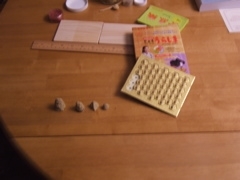 Cone moxa (chinetsukyu), stick-on moxa (jbuki) and thread moxa (okyu) are commonly used forms of moxibustion.